Some mice can make cute, fun pets, but the house mouse is not one of those. And when a rodent creeps into your home through a crack or gap or gnaws on drywall, stored boxes, and paper, or even wiring to make its nest—while urinating and dropping feces as it travels, it can be a danger and health hazard to your family. 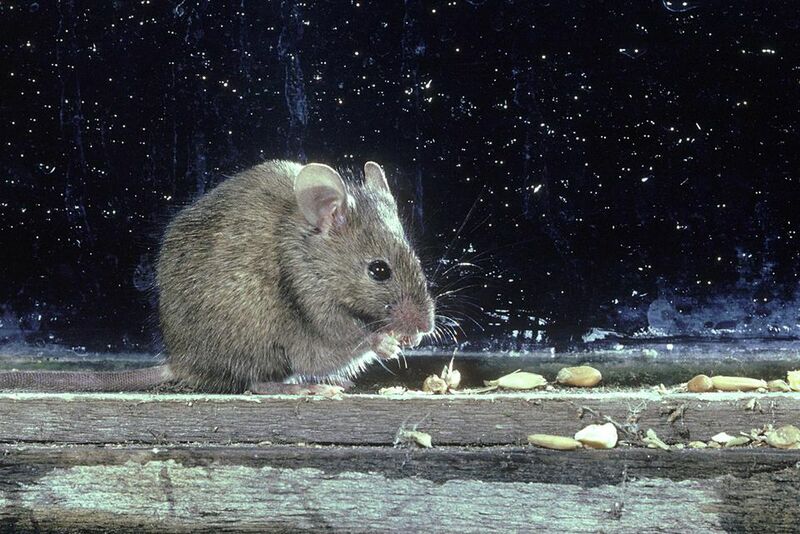 But because mice are small, nocturnal, and nest in out-of-the-way places, you may not even know you have a problem until the population gets large and you have a major problem. So, how do you know if you have mice? And why are they a health problem? The following provides a guide to house mouse identification, behavior, disease and damage, and signs. Mice are nocturnal, meaning they are most active at night—when most of your family is asleep. It is so flexible that it can get into your home through a crack or hole as small as 1/4-inch. A mouse can jump as high as a foot, and climb 13 inches up smooth, vertical walls. It can run 12 feet per second and swim as far as 1/2 mile. Being very inquisitive, a mouse will nibble or feed on any available human food, as well as other household items, such as paste, glue or soap. It does not need free water but can survive on the water in the food it eats. Nests or piled nesting materials. Food scraps or wrappings left behind. Excreted droppings - 1/4 - 1/8 inch with pointed end or ends. Runways—indicated by narrow pathways where dust and dirt have been swept clean, grease marks are noticeable, urine trails seen under black light. Hear it skittering on hardwood or laminate floors. Smell the fetid odor of a large infestation. Disease and Damage: Why Are Mice a Problem? Disease: According to the CDC, mice and rats spread more than 35 diseases directly to humans through handling; contact with rodent feces, urine, or saliva; or rodent bites. Humans can also contract diseases carried by rodents indirectly, through ticks, mites or fleas that have fed on an infected rodent. Have no bladder control, so they trail urine wherever they walk. Leave behind 50-75 droppings each day. Can reproduce up to 35 young each year—​from a single female. Feed on and contaminate foods with urine, droppings, and hair. Cause more than $1 billion in damage each year in the U.S.
Now that you know how to tell if you have mice and the problems they can cause you'll need to rodent proof your home.